Figure 1. (a)Bacteria is screened from rusty iron sample and cultured with Winogradsky culture medium. With rust and biofilm, bacterial colony is bronzing and circular. (b)Gram Straing：Gram-negative bacteria. (c)Iron bacteria with its biofilm (d)Electron microscope picture of iron bacteria with rust and biofilm complex. 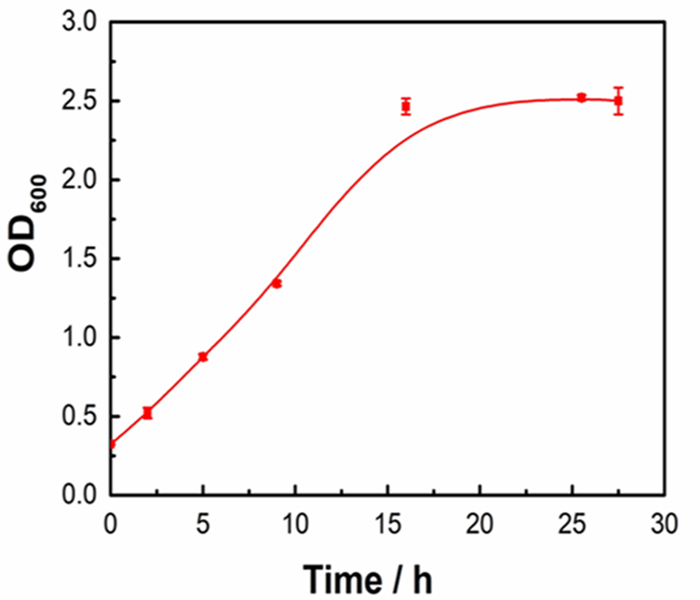 Figure 3: Iron bacteria growth curve.Bacteria is cultured in Winogradsky culture medium at 30℃ and shake at 220rpm, 2% inoculum of culture solution (culturing age 3 days) and measure the light absorption at 600 nm. We constructed a quorum-sensing system and found that the promoter with afe-box can work when the AHL concentration is more than 10-7 mol/L. We have not successfully constructed the recombinant plasmid with enterobactin because the gene cluster is too long.But we purified the enterobactin from E. coli successfully and tested the rust removal effect. Figure 5. 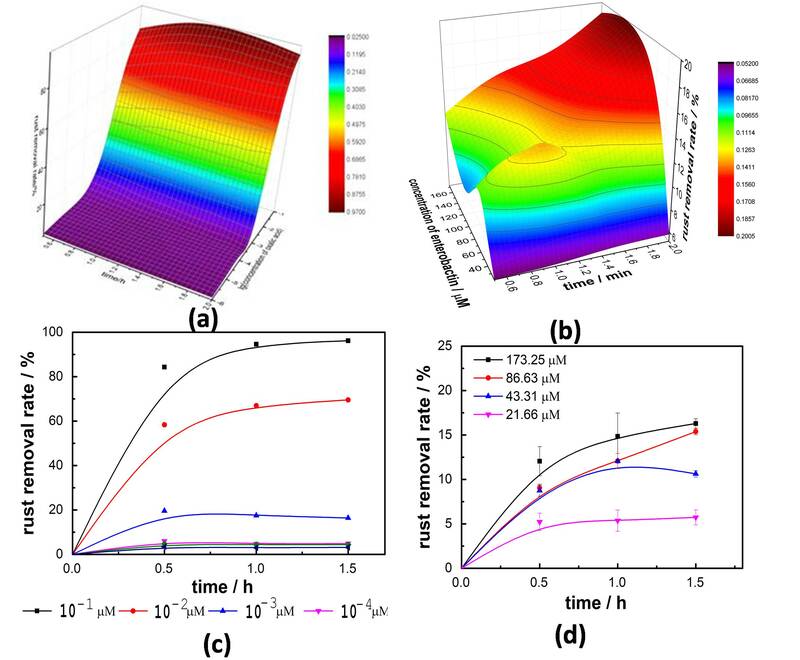 Fitting curves of oxalic acid and enterobactin (a) 3D fitting figure of rust removal rate for oxalic acid ;(b) 3D fitting figure of rust removal rate for enterobactin; (c) fitting curve of rust removal rate for oxalic acid ;(b) fitting curve of rust removal rate for enterobactin. We intesrt the gene of DispersinB (DSPB) to pET28a and E.coli expressed DSPB successfully. 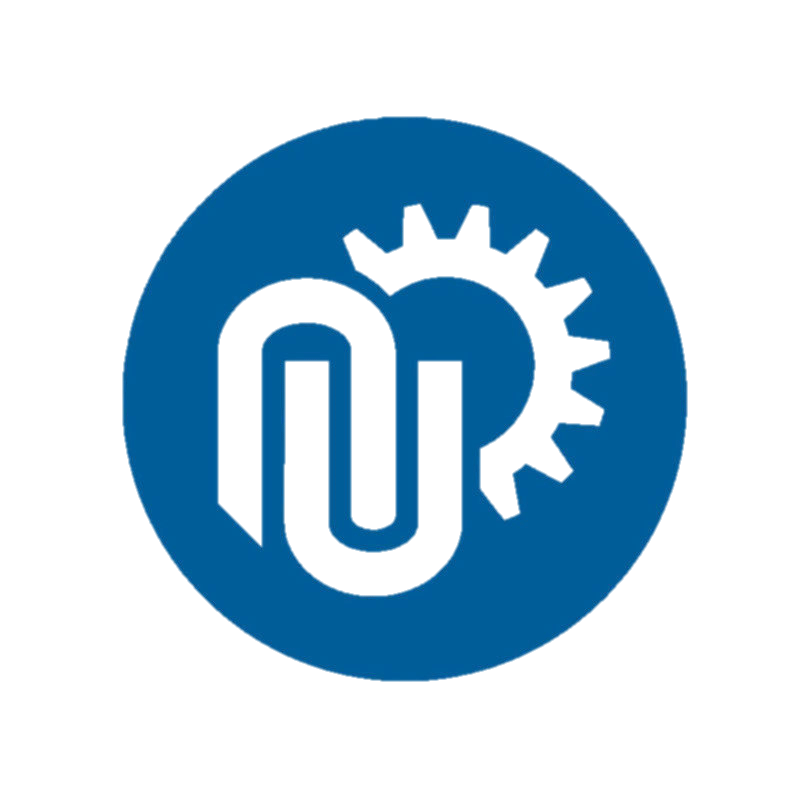 We performed enzyme activity assay and biofilm removal experiment by using cell supernatant. The enzyme activity of the supernatant is 66.363 U/mL. The supernatant has high biofilm removal rate, and the biofilm removal effect increased with time. The fur-box is inserted into three different positions of the promoter ,named Pfur,Pfur2 and Pfur. Figure 7. (a) Relative expression of mCherry under the regulate of different fur box with Fe concentration of 10-5M (b)Relative expression of mCherry under the regulate of different fur box with Fe concentration of 10-7M. Fe excess medium is used to measure expression of report gene. After adding with 10-7M Fe in medium ,Fur2 has the highest relative expression.So finally we choose fur2. Recombinant E. coli successfully expressed Lysin and can can make holes in the cell membrane. Figure 8. The images are from scanning electron microscopes. (a)Before induction. (b)After induction.There are holes in the plasma membrane after induction, which can prove that lysin expresses successfully. Recombinant E. coli successfully expressed cecropin AD and we test the the sterilization effect of cecropin AD . Figure 9. Growth curve of iron bacteria adding with different concentration of cecropin AD. The figure shows that cecropin AD has powerful bacterividal activity. Only concentration of cecropin AD is low enough, can iron bacteria grow. We test the growth curve of Recombinant E. coli and found that cell growth can be inhibited after light illumination. Figure 10. E.coil growth curve under different light conditions. Iron bacteria is cultured in Winogradsky culture medium with 1% inoculum size from seed medium.Then medium solution is transferred into 96-well microtiter plates with different culture conditions. Then bacteria is cultured for 24 hours and OD600 is measured. Effects of killing iron bacteria with Cecropin AD, Dsp B and enterobactin are considered comprehensively. 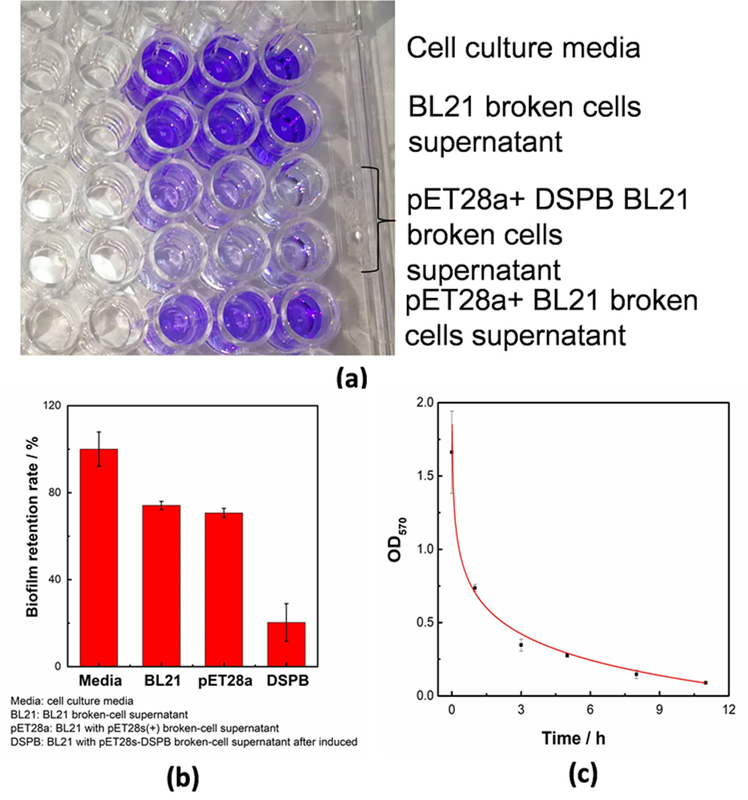 Dsp B is crude enzyme solution from broken cell supernatant. Enterobacin is purified cell culture solution supernatant as what mentioned before. Cecropin AD is synthesized from Genscript. Pepide is dissolved in 1% acetic acid. Figure 11. 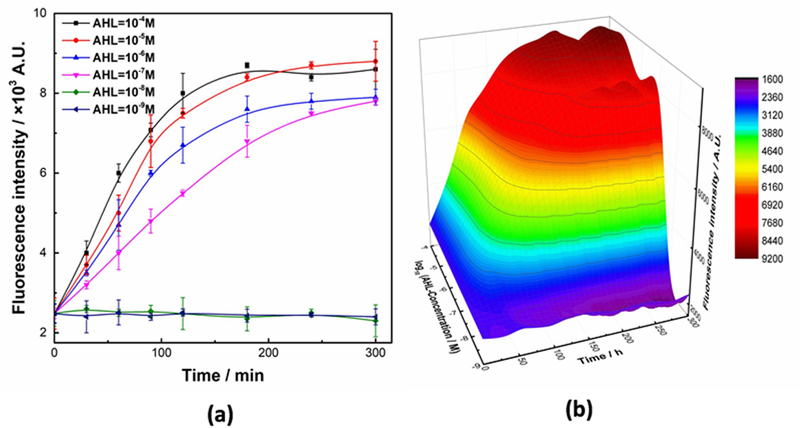 Growth curve of iron bacteria adding with different concentration of cecropin AD and Dsp B. 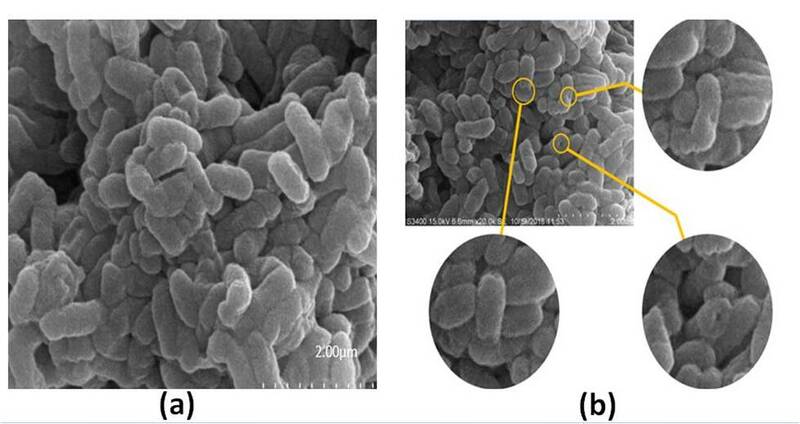 From the picture, we can see that co-action of Dsp B and cecropin AD strengthens the effects of iron bacteria-killing. Dsp B can damage the environment iron bacteria live in, so antibacterial peptide can attack bacteria more easily. We can see from the figure that co-action of cecropin AD and enterobactin can inhibit the growth of iron bacteria more effective. 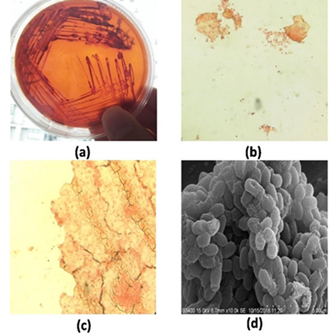 Enterobactin can despoil ferric iron in culture medium and cecropin can kill bacteria, so co-action of them can obviously kill iron bacteria. 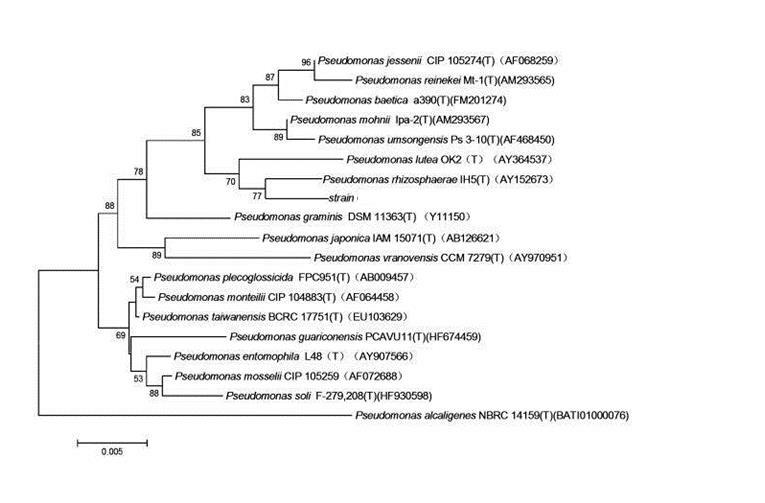 We can see from the figure that adding with cecropin AD , DspB and enterobactin can kill iron bacteria powerfully. DspB and enterobactin can damage living environment of iron bacteria. When iron bacteria loses its biofilm and its energy source, bacteria can not survive.